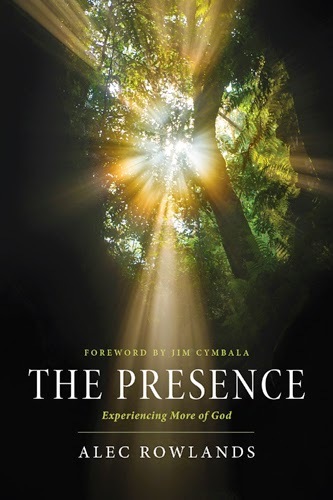 I asked for a copy of Alec Rowland's book, "The Presence" for my next book review because I was curious to know what he meant by the subtitle of "experiencing more of God." What I found is that the book's main focus is not about having supernatural experiences, but on the revival of a Christian's spiritual life. Its about renewing our relationship with Him; about having a closer walk with God who is still alive and active in our world today, even though we don't always "feel" His presence. On page 69 of the book, the author encourages us to look at our own lives and ask some important questions: "What will motivate me to actively share with others the story of my relationship with Jesus? What will make me want to pray? What will motivate me to dig into the Bible and truly study the Word of God with an eye toward having my life changed? What will infuse my worship with a deep and authentic hunger for God's presence? The only answer is a restored (revived) love for God." The author uses personal stories/experiences of revival in his own life, as well as in the lives of others, to help motivate us in our Christian walk; to be on a mission to become more Christ-like. In that sense, it has very good things to say and I think it could be a decent book to help with Bible study conversations. The book did seem rather long to me, though, and not super engaging. I guess that's why it took me so long to finally write a review (2 months), because it took me so long to finish the book. But, overall, I found the book to be inspiring, and somewhat entertaining at times. NOTE: Tyndale House Publishers has provided me with a complimentary copy of this book for review purposes. Just being reminded about the hunger we must have...for more and more of our God. Dwelling in His Presence...oh yes! PtL!